I’ve written before about how casinos employ data and cutting-edge technology to make better business decisions. The gambling industry has always fascinated me, and that certainly hasn’t abated since moving to Las Vegas. 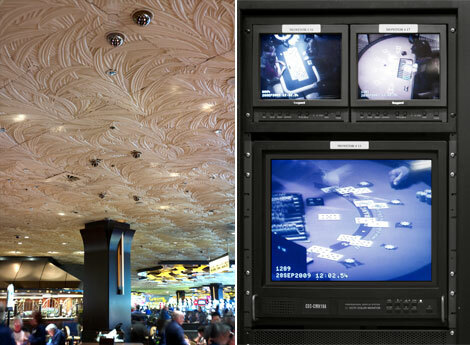 I’ve known for a while now that casinos are almost always early adopters. That is, they are by and large at the forefront of new tools to help them make more money and reduce what they consider to be fraud. allows casinos to determine quickly if a potentially colluding player and dealer have ever shared a phone number or a room at the casino hotel, or lived at the same address. “We created the software for the gaming industry,” says Jeff Jonas, founder of Systems Research & Development, which originally designed NORA. The technology proved so effective that Homeland Security adapted it to sniff out connections between suspected terrorists. “Now it’s used as business intelligence for banks, insurance companies and retailers,” Jonas says. NORA represents a fascinating use of technology and data, and it’s indicative of a much larger trend today. The larger question is: What does all of this mean? Big Data is starting to transform businesses. With respect to Big Data, there are still plenty of laggards. No technology or device reaches critical mass overnight, especially at the enterprise level. In five years, it’s not as if every organization will intelligently use all information available. Hype aside, though, Big Data and attendant technologies are starting to transform businesses right before our very eyes. Old ways of doing things are beginning to fall by the wayside. When specific examples like NORA become public, Big Data suddenly becomes less abstract to those who make decisions–and the public at large. Progressive folks with the foresight to see enormous possibilities start to gain credibility inside of mature organizations that have been reluctant to act. They start to win arguments with naysayers or, failing that, move to enterprises that already get it or want to get it.